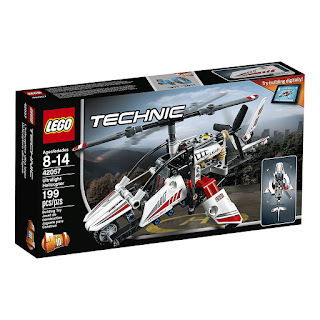 Right now you can get this LEGO Technic Ultralight Helicopter 42057 Advance Building Set for ONLY $13.99 (Retail $19.99)! Enjoy aerial adventures with this aerodynamic one-man helicopter, featuring spinning main and tail rotors, controllable tail rudder, detailed engine with moving pistons, open cockpit with detailed seat, and a white, red and black color scheme with a selection of stickers for an authentic helicopter look. This robust 2-in-1 LEGO® Technic building set can be rebuilt to create an Experimental Aircraft, providing a double build-and-play experience. Both models in this vehicle set can be built by following the free interactive, 3D digital LEGO Building Instructions app.